On 6 August, two French journalists visited Areki Wanimbo, a Lanny Jaya tribal leader, to find out more about the situation in Lanny Jaya. 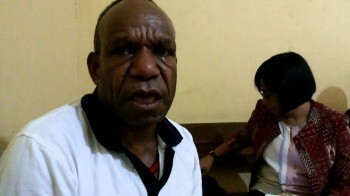 They were arrested that day, alongside five other Papuan men who have since been released. The journalists were released after spending 11 weeks in detention. However Areki remains in detention and faces charges of conspiracy to commit treason despite the lack of credible evidence. Film about BUK Papua’s work to support Prisoners in West Papua.